The CDES is pleased to be the Project Implementing Agency at Monash University for the Australian Centre for International Agricultural Research (ACIAR) project “Policy and Institutional Reforms to Improve Horticultural Markets in Pakistan” (ADP/2014/043). From 19 to 24 March 2018, Monash University hosted the project's mid-term workshop in Victoria, Australia. 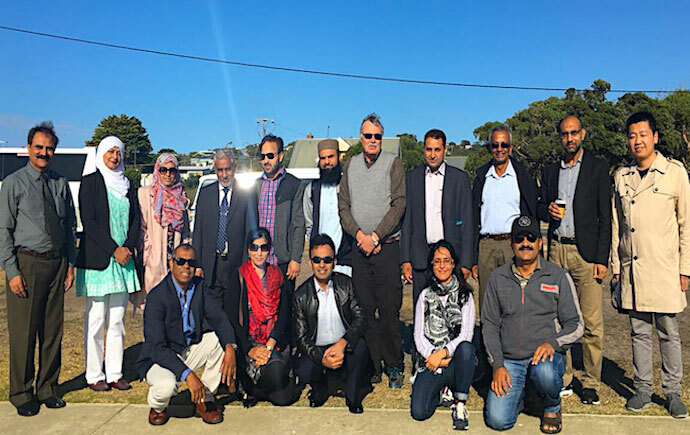 The workshop comprised of several days of intensive meetings culminating in a very productive two-day conference in the coastal town of Lorne on the Great Ocean Road. During this time, the project team was pleased to share its research and make plans for the successful completion of the project in 2019. 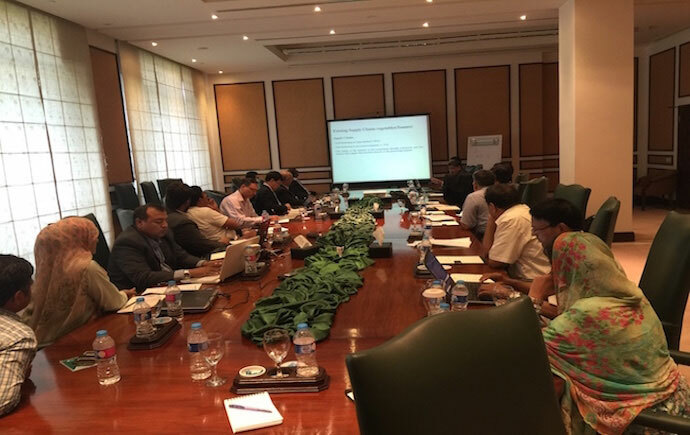 On 18 and 19 September 2016, the project inception workshop was held in Islamabad, Pakistan. It provided a valuable opportunity for participants to meet and map out plans for the project, with all looking forward to a very productive collaboration. Working Paper 06/18 - Improving Market Performance of Pakistan Horticulture Industries: Some Initial Insights. (Thilak Mallawaarachchi and Shabbir Ahmad, University of Queensland). Working Paper 07/18 - Vertical Integration and Cross-Country Price Transmission in Pakistan’s Agriculture Market.. (Hayat Khan, College of Business, Alfaisal University, Riyadh, Saudi Arabia and Sisira Jayasuriya, Centre of Development Economics and Sustainability, Monash University). Working Paper 08/18 - Understanding Export Challenges and Potential for Mangoes and Chillies. (Zarmeen Hassan, Pakistan Agriculture Coalition). Draft Report 03/18 - Preliminary Report of Marketing Channel Survey (Mangoes) in Rahim Yar Khan and Multan. Information Collected from Growers and Contractors. (Nauman Ejaz, International Islamic University Islamabad). Draft Report 04/18 - Preliminary Report on the Survey of Tomato Growers in Sindh, Punjab and Balochistan. (Muhammad Qasim, Waqas Farooq and Waqar Akhtar, Agricultural Economics Research Institute, National Agricultural Research Centre). Draft Report 05/18 - Draft Report of Mango Farm Survey in Punjab, Pakistan: Findings and Policy Guidelines. (Abdul Ghafoor, Adnan Adeel and Asif Maqbool, Institute of Business Management Sciences, University of Agriculture, Faisalabad, Pakistan). Pakistan’s horticulture industry, one of the largest in the world, has huge growth potential in both domestic and export markets (noting that the China-Pakistan Economic Corridor will provide preferential access to the world’s fastest growing horticulture market). It is dominated by smallholders with strong participation of women and has a key role in the government’s development strategy. But its present performance is well below potential, characterised by low productivity, poor quality, high wastage, and low exports. The marketing system is widely considered to be one of the main factors constraining the industry’s modernisation and development. This project, developed in response to Pakistan government and industry requests, will investigate existing marketing arrangements, assess domestic and foreign market potential, identify main problems and, drawing on both Pakistani and international reform experiences, formulate an appropriate marketing policy reforms programme. For more information, see the project summary. Centre for Chinese Agricultural Policy at the Chinese Academy of Sciences.